Mark Schlereth played 12 seasons in the NFL from 1989-2000 with the Redskins and Broncos. He is a three-time Super Bowl champion, winning one ring with Washington and two with Denver. After retirement in 2001, he joined ESPN, where he would work as an analyst until departing in June 2017 for a new opportunity with FOX Sports. Born in Anchorage, Alaska, Schlereth attended the University of Idaho on a football scholarship. After his college career ended, he was selected in the 10th round of the 1989 NFL Draft by the Washington Redskins and head coach Joe Gibbs. Known as “Stink” to many of his friends, Schlereth wears many titles in his life, including husband, father, grandfather, actor, entrepreneur, morning radio host and television analyst. 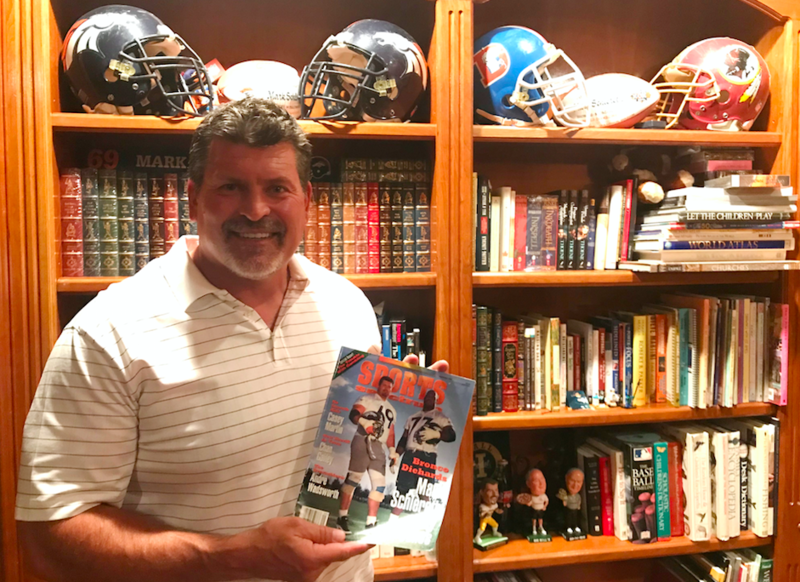 In Part 1 of our conversation with Schlereth, we talk about his departure from ESPN to FOX, how his football career almost ended in college, how Joe Gibbs impacted his walk with Christ, and where the nickname “Stink” actually came from. Seek! That is the focus word in this verse. This word is a robust word, describing a passionate pursuit of something to make it our own. The Kingdom, and the righteousness of those in this Kingdom, is not our wish, our hope, our dream it is our passion. We will pursue it at all costs. We will pursue it with passion. This will be our consuming effort until we make it our own, or better yet, find it our home!